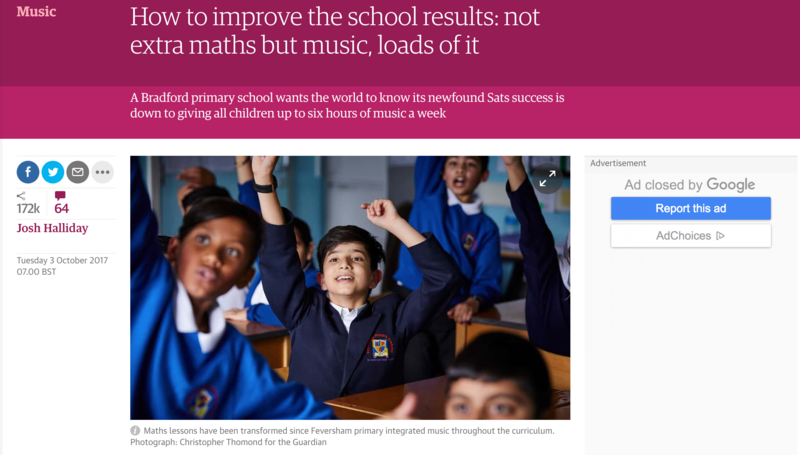 A Bradford primary school wants the world to know its newfound Sats success is down to giving all children up to six hours of music a week. 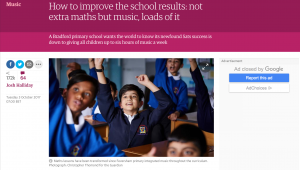 At Feversham, the headteacher, Naveed Idrees, has embedded music, drama and art into every part of the school day, with up to six hours of music a week for every child, and with remarkable results. Seven years ago Feversham was in special measures and making headlines for all the wrong reasons. Today it is rated “good” by Ofsted and is in the top 10% nationally for pupil progress in reading, writing and maths, according to the most recent data.